Free Ground Shipping on Orders over $150! 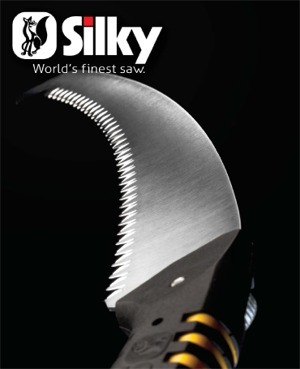 Silky Saw manufactures some of the fastest and smoothest cutting hand saws in the world. Silky Saws are made from the finest Japanese Steel and are rated the #1 preferred saw for both outdoor and woodworking. Through decades of technological innovation and modern ergonomic advances, Silky Saw has consistently produced cutting hand saws with unmatched cutting speed, precision and comfort. The combination of top quality raw materials, superior craftsmanship, and close to 100 years of hand saw technology makes Silky your best option for a portable folding saw, pruning saw, or camping saw. What makes Silky Hand Saws so Unique? Unmatched Premium quality Japanese Steel. superior grips and the best ergonomic design for superior comfort.